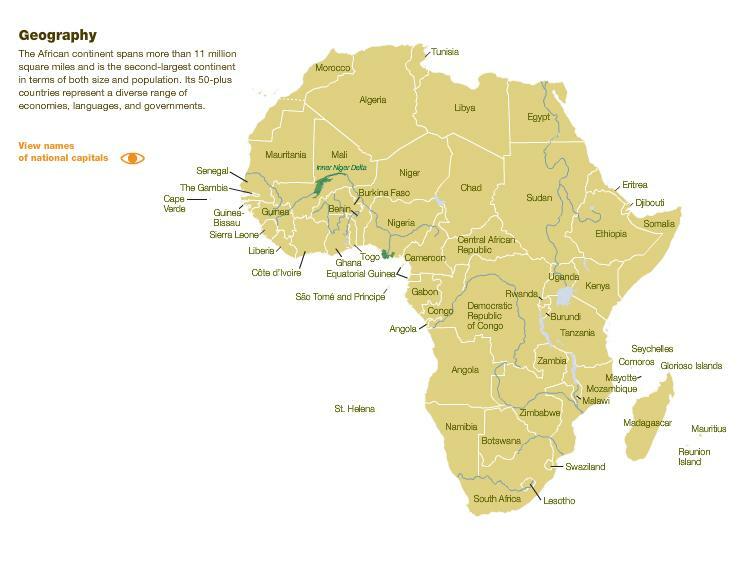 Almost half of the top 12 fastest growing economies in the world come from Africa. Ghana has swept from a 4.5% growth rate last year, to an astonishing 20.146% growth rate for 2011, making Ghana the fastest growing economy in the world. 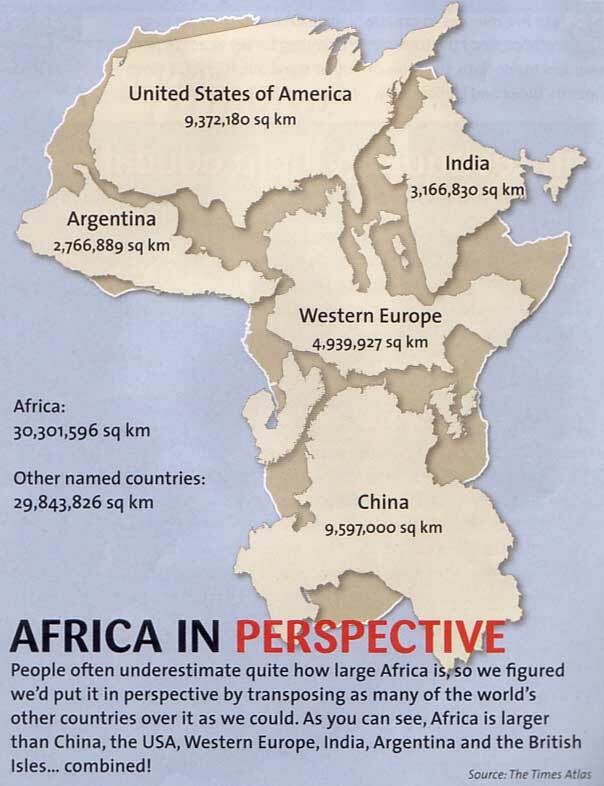 The true size of Africa in perspective, just a reminder of how big Africa is, and how big its potential is as well. Ghana is expected to be the fastest growing economy in the world in 2011! For 2010, we noted that none of the top growth countries were advanced economies; only one was G20. Many people assume that China is the fastest growing country in the world, but that is not the case – it is the fastest growing large economy, and as we will see that is a different thing. We also took a look at the key trends that are driving the growth figures. Growth rates are much higher this year. The chart tops out at over 20%. Once again, developed countries do not feature in the Top 12. Almost half of the top 12 come from Africa. Ghana has swept from 4.5% last year, to an astonishing 20.146% for 2011. One third of the Top 12 are from the Far East; two from the Middle East and one from Central Asia. 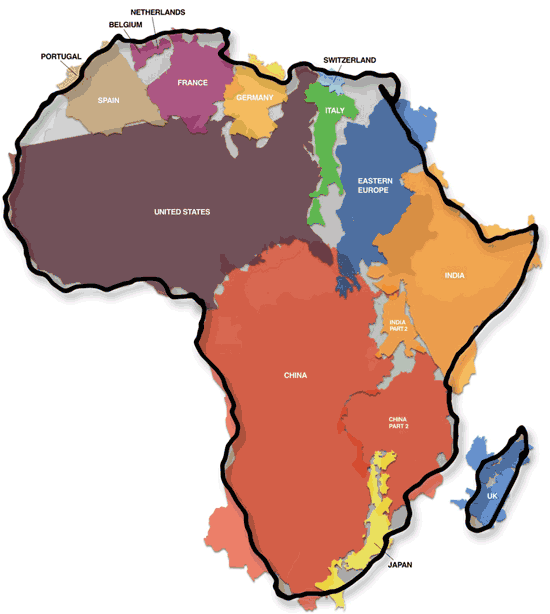 The African decade continues to hold sway. 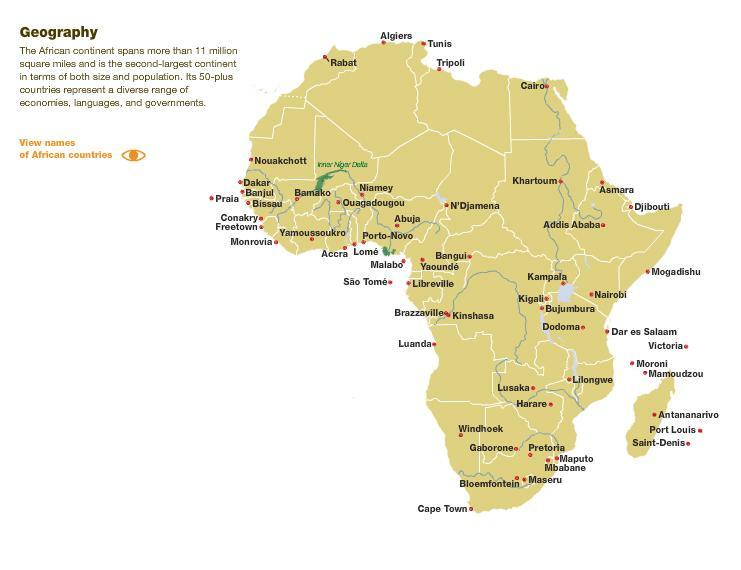 2010 to 2020 is bringing massive development to the continent. 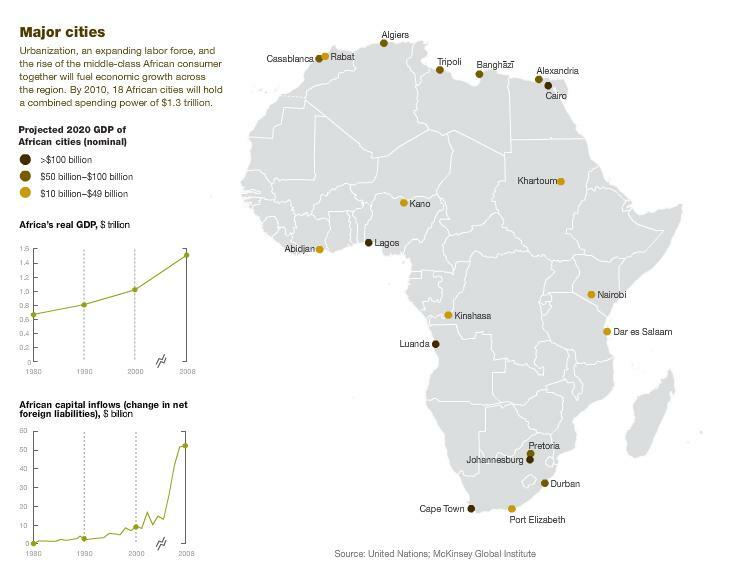 As China continues to boom we will see the Chinese offer more large-scale infrastructure development to African governments in return for natural resources and farmland to support it’s vast population. In turn African countries are continuing to challenge old perceptions of corruption and violence through practicing better governance. Chart leader Ghana is one of Africa’s strongest democracies. African countries will continue to veer in favor of increased prosperity. The picture continues to be replacement of Western aid for Africa by Eastern trade with Africa. The peace and democracy bonanza. Rounding of our counter-intuitive list is another perfectly intuitive point. Countries like Ghana who are experiencing a new era of good governance will enjoy massive growth increases. Where there is peace and good governance, prosperity will follow as we see these countries making use of their resources more actively and using them to build, rather than wage war. Check the Ghana Economic Statistics and Indicators. 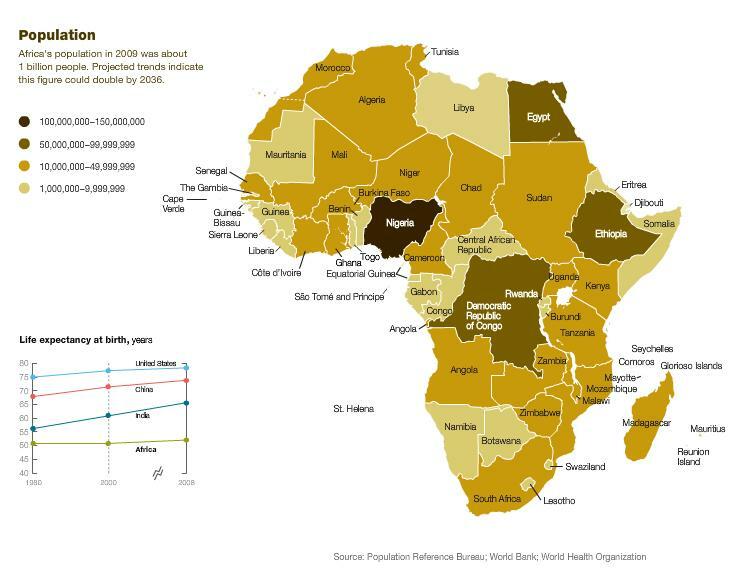 African Poverty Is Falling…Much Faster Than You Think. Sub-Saharan Africa has made little progress in reducing extreme poverty, according to the latest Millennium Development Report. This column presents evidence from 1970 to 2006 to the contrary. The sustained African growth of the last 15 years has engendered a steady decline in poverty that puts Africa on track to meet the Goals by 2017. If peace is established in the Democratic Republic of Congo, and it returns to the African trend (which is what happened to other African nations that were formerly at war), Africa will halve its $1/day income poverty rate by 2013, two years ahead of the 2015 target. Moreover, African poverty reduction has been extremely general. Poverty fell for both landlocked and coastal countries, for mineral-rich and mineral-poor countries, for countries with favourable and unfavourable agriculture, for countries with different colonisers, and for countries with varying degrees of exposure to the African slave trade. The benefits of growth were so widely distributed that African inequality actually fell substantially. Using the $1/day definition of poverty adopted by the Millennium Development Goals, African poverty declined strikingly, from 41.6% in 1990 to 31.8% in 20061. Poverty seems to co-move with GDP almost perfectly. Our main conclusion is that Africa is reducing poverty, and doing it much faster than many thought. The growth from the period 1995-2006, far from benefiting only the elites, has been sufficiently widely spread that both total African inequality and African within-country inequality actually declined over this period. The speed at which Africa has reduced poverty since 1995 puts it on track to achieve the Millennium Development Goal of halving poverty relative to 1990 by 2015 on time or, at worst, a couple of years late. 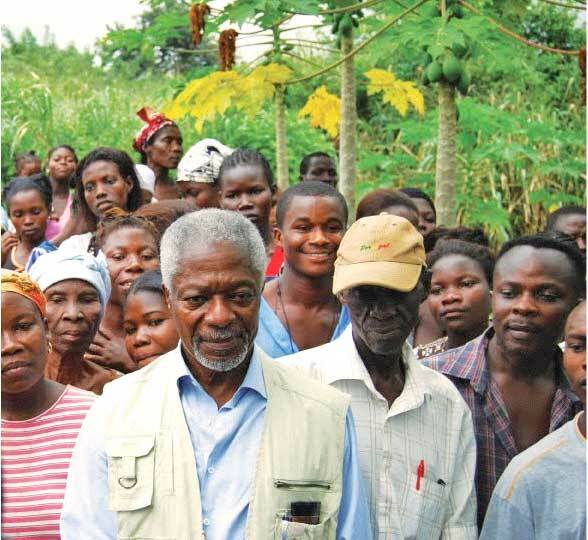 If the Democratic Republic of Congo converges to the African trend once it is stabilised, the MDG will be achieved by 2012, three years before the target date. We also find that the African poverty reduction is remarkably general. 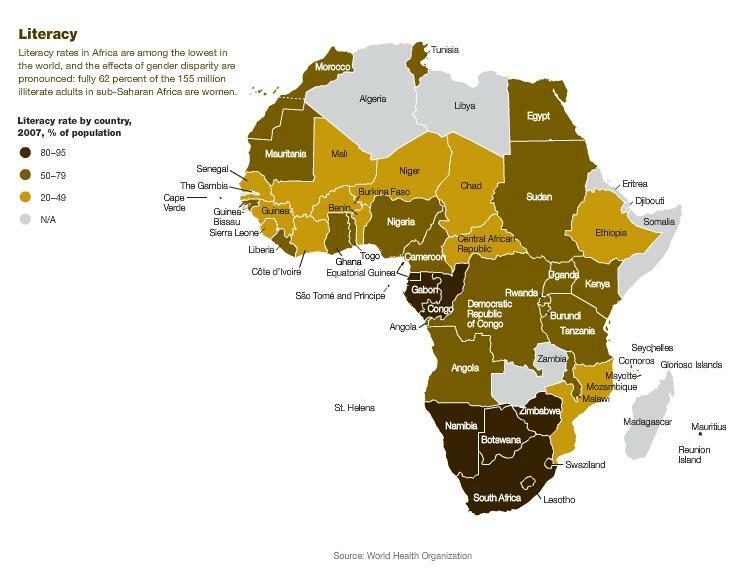 African poverty reduction cannot be explained by a large country, or even by a single set of countries possessing some beneficial geographical or historical characteristic. All classes of countries, including those with disadvantageous geography and history, experience reductions in poverty. This observation is particularly important because it shows that poor geography and history have not posed insurmountable obstacles to poverty reduction. … real household consumption in sub-Saharan Africa is growing around 3.3 percent per annum, i.e. more than three times the 0.9 to 1.0 percent reported in international data sources and on par with the growth experienced in other developing countries. Measures of real consumption based upon the ownership of durable goods, the quality of housing, the health and mortality of children, the education of youth and the allocation of female time in the household indicate that sub-Saharan living standards have, for the past two decades, been growing in excess of 3 percent per annum, i.e. more than three times the rate indicated in international data sets. The thing that delayed this growth and created setbacks is war. It is unfortunate that current US attention to Africa is almost entirely military, preparing for more war. US foreign policy in Africa is military policy. The US is missing the African success boat. It may be trying to sink it with its efforts at seabasing, its emphasis on military training to facilitate proxy war, and where there is war, partnering with the perpetrators. I would like to see positive development in US relations with African countries. For that to happen we need US leadership that can learn, that knows a bit of history, or we need new leadership. Nevertheless, this news on economic growth and the reduction of poverty and inequality is wonderful news, something we can celebrate as we prepare for lots of hard work ahead. 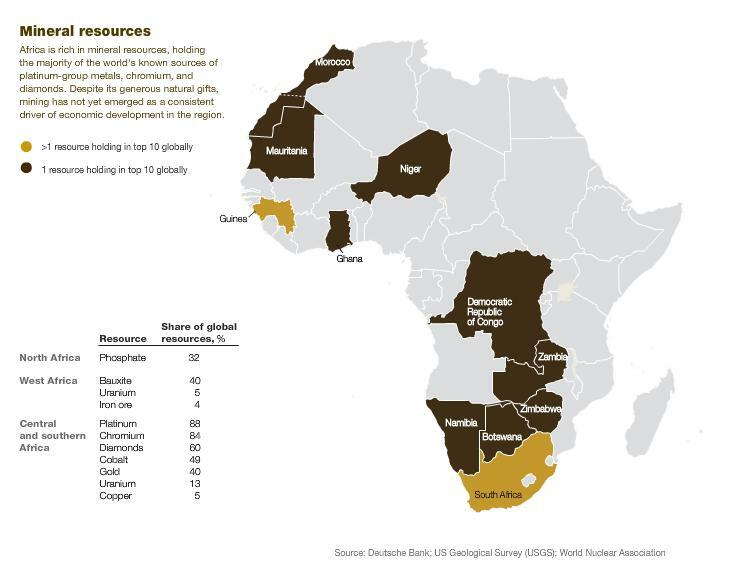 The following maps provide an overview of Africa at present. 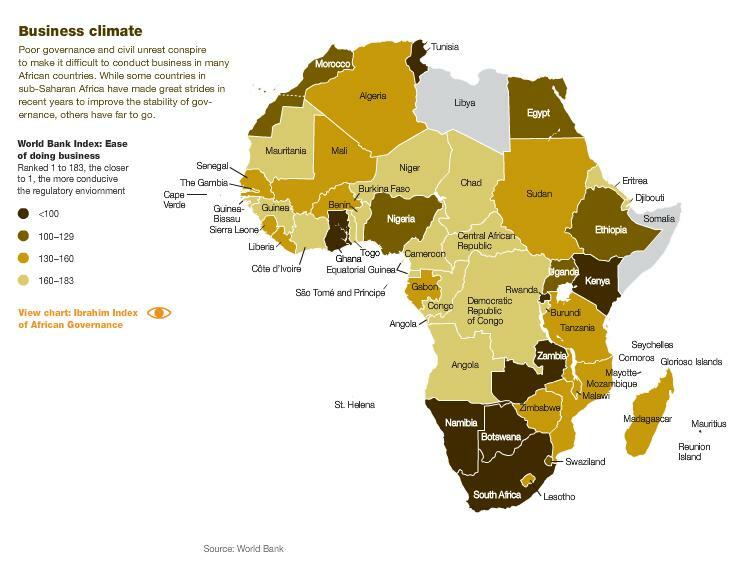 The selection was put together by McKinsey Quarterly, discussing businees opportunities and the future in Africa. The information in the maps is by no means complete, but nevertheless worth a look. Click on each map to make it large enough to read. The maps above are from McKinsey Quarterly where there are slightly more interactive versions. In view of the above maps, I thought I’d post the following map again, to help keep things in perspective. The map above comes from Strange Maps. Mr. Young has made this survey based on the Demographic and Health Survey (DHS). Much of this has gone unnoticed prior to his study. To regular readers of this blog, apologies for fewer postings in recent weeks. In July we experienced severe budget cuts at work. We lost jobs but the workload remains the same. It is taking more time than I expected to get the work manageable. I hope to be back to more frequent posting soon. 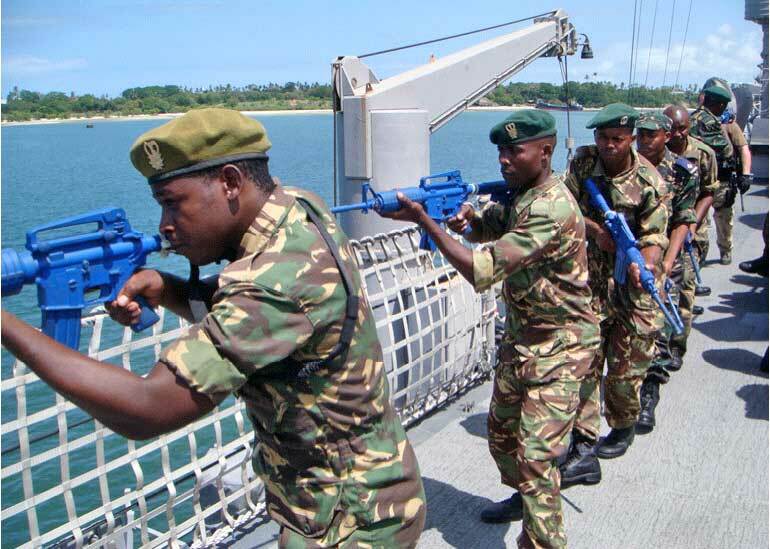 … the militarised and unilateral security policy that had been pursued by the George W. Bush administration toward Africa, as well as toward other parts of the world. 14 million for African Regional Programmes. In the case of acquisitive aid the recipient’s performance substitutes directly for action by the donor. The donor either does not expect to act at all or would have to act “more” or “differently” if he could not anticipate the performance of the recipient. … The case is clearest where military and economic aid are intended to help the recipient maintain an army for local self-defense, so that the United States does not have to participate with troops or need involve only a correspondingly smaller number of troops. This passage highlights the basic linkage between security assistance and surrogate force. I have not seen much sign of creative aid coming from the US government to Africa for many decades. There is plenty of acquisitive aid. AFRICOM’s partnering is acquisitive aid, security assistance designed to acquire surrogate force. 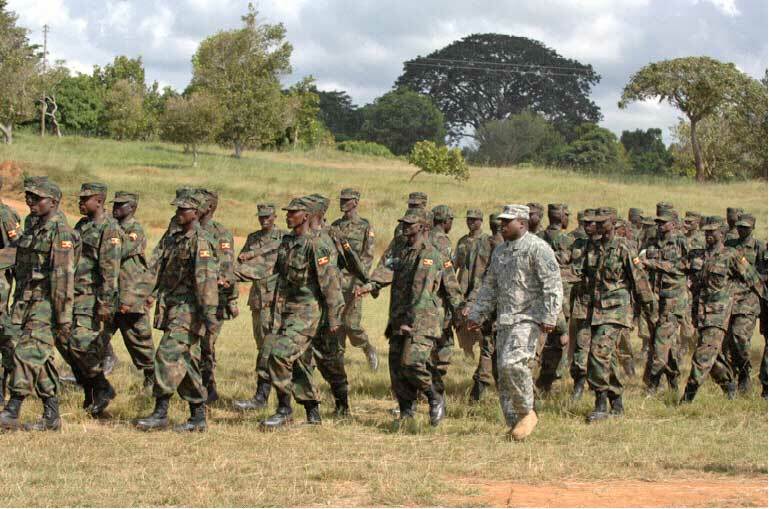 The gift is arms and military training so that African soldiers can fight, suffer and die for US interests, and US soldiers will not have to. But we won’t see creative aid. We won’t see aid that will favorably affect the economic and political development of the recipient country. We won’t see aid that will help develop transportation, or health, or education, or improved sanitation and sewage, or any of the things governments do to earn the consent of the governed and to govern peacefully and prosperously. We see the Africa Command in military photo op aid performing a few of these functions in local isolation. But the money for these is peanuts compared with the money for arms and military training, or even compared with the expense of just moving military equipment from place to place. 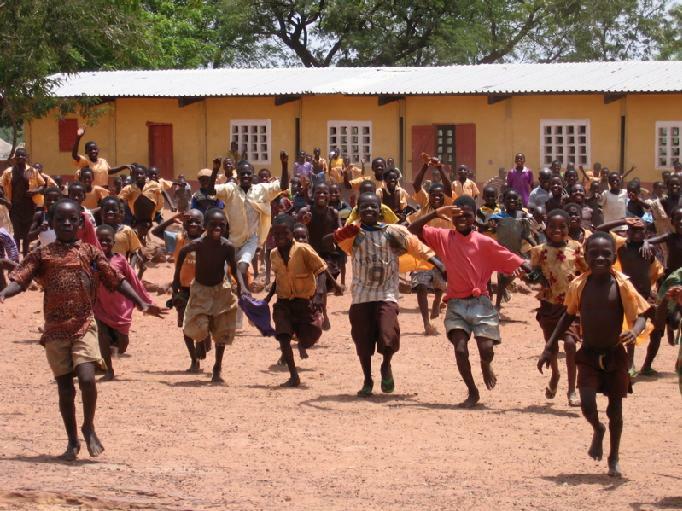 School children in Bunkpurugu in Northern Ghana 2005, a very cheerful picture, not directly related to the story, but cheerfully upbeat. The paucity and poor quality of living standard data for less developed countries is well known and is motivating expanding efforts to improve the quality of information, as represented by the World Bank’s International Comparison Programme and Living Standards Measurement studies. However, there already exists, at the present time, a large body of unexamined current and historical data on living standards in developing countries, collected as part of the Demographic and Health Survey (DHS). For more than two decades this survey has collected information on the ownership of durables, the quality of housing, the health and mortality of children, the education of the youth and the allocation of women’s time in the home and the market in the poorest regions of the world. In this paper I use the DHS data to construct estimates of the level, growth rate and inequality of real consumption in 29 sub-Saharan and 27 other developing countries. These estimates have the virtue of being based upon a methodologically consistent source of information for a large sample of poor economies. Rather than attempting to measure total nominal consumption and marry it to independently collected price indices, they employ direct physical measures of real consumption that, by their simplicity and patent obviousness (the ownership of a car or bicycle, the material of a floor, the birth, death or illness of a child), minimize the technical demands of the survey. While the items they cover provide little information on comparative living standards in developed countries, in the poorest regions of the world they are clear indicators of material well being, varying dramatically by socioeconomic status and covering, through durables, health & nutrition and family time, the majority of household expenditure. He provides tables, and far more detail as to his methodology and his findings. You can read the entire economic report here, The African Growth Miracle PDF. Whose Oil? Whose Country? Whose Benefit? … no country has been developed by outsiders. International relationships are simply not defined by sentimentalities but by cold, calculated self-interest. This is a lesson that African leaders refuse to learn. Outsiders might help, but it is the citizens of a country led by an intelligent leader with vision that develop nations. Back in December the Vanguard published an editorial recording a conversation between Professor Dora Akunyili, Minister of Information for Nigeria, and Venezuela’s Ambassador to Nigeria, Enerique Fernando Arrundell. There is much in Mr. Arrundell’s words that Ghanaians should take to heart. VENEZUELAN Ambassador to Nigeria, Enerique Fernando Arrundell, could not have offered his advice on Nigeria’s management of its petroleum resources at a better time. The anchor of government’s argument is that higher prices would draw foreign investors to the down stream sector of the industry. Professor Dora Akunyili, Minister of Information had solicited Venezuelan investments for our refineries. Mr. Arrundell’s response was without diplomatese. He launched a profound lecture on Nigeria’s oil and gas. “In Venezuela, since 1999, we’ve never had a raise in fuel price. We only pay $1.02 to fill the tank. What I pay for with N12, 000 here (Nigeria), in Venezuela I’ll pay N400. What is happening is simple. Our President (Hugo Chavez) decided one day to control the industry, because it belongs to Venezuelans. 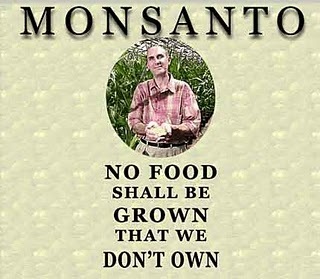 If you don’t control the industry, your development will be in the hands of foreigners. “You have to have your own country. The oil is your country’s. Sorry I am telling you this. I am giving you the experience of Venezuela. We have 12 refineries in the United States, 18,000 gas stations in the West Coast. All we are doing is in the hands of Venezuelans. “Before 1999, we had three or four foreign companies working with us. That time they were taking 80 per cent, and giving us 20. Now, we have 90 per cent, and giving them 10. But now, we have 22 countries working with us in that condition. Nigeria that has more technical manpower than Venezuela, with 150 million people, and very intellectual people all around, not been able to get it right? The question is: If you are not handling your resources, how are you going to handle the country? Nigerians. It is enough! It is enough, Minister! There are, however, some fundamental truths that we must begin to tell ourselves. First and foremost is the belief that we can continue to depend on other people’s (especially Western) charities for our development. I have said several times that no country has been developed by outsiders. International relationships are simply not defined by sentimentalities but by cold, calculated self-interest. This is a lesson that African leaders refuse to learn. Outsiders might help, but it is the citizens of a country led by an intelligent leader with vision that develop nations. And as I have recounted several times in this very column, our five hundred or so years of “relationship” with the West has been to our utter detriment. We have nothing but slavery, colonialism, and the more pernicious neo-colonialism (aka imperialism) to show for it. We can also throw in the disease of rabid racism that still pervades the Western world. In the name of “investment,” the Western multinationals will bring in ancient equipment (tax free) to come and set up shop to extract our resources. To attract their “investments,” they are given tax breaks and other packages that made them pay their expatriate staff out-of-this-world salaries and emoluments. They will employ the brute force of our compatriots whilst their planes and helicopters are waiting to ship out our gold and diamonds in their raw state. For this they pay us a pittance in royalty and employ the best PR outfits who will dazzle us with enough razzmatazz to make us dizzy. A few years down the road, the mines are depleted, our land and environment polluted, and our people’s lives wretched. The wily Westerner is already outta the country. This is the very sad story that keeps repeating itself year in year out and like mindless children, we seem not to learn any lesson. Since the overthrow of President Kwame Nkrumah’s government in 1966, no government in Ghana has deemed it fit and proper to build a gold or diamond factory in order to add some value to them. This has been our sad story and yet our leaders have stubbornly refused to learn a thing. There is a law in this country against causing financial loss to the state and it is high time we start to use it seriously and effectively. 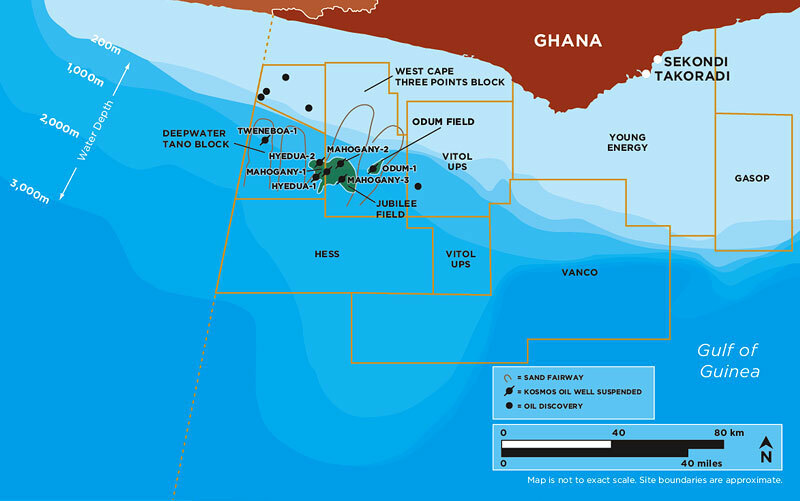 How on earth can officials of our country, paid from the treasury of mother Ghana, and in this age and time, sign agreements with foreigners to cart away our crude oil unrefined for twenty years! What on earth informed that reckless decision? Who said that slavery is over? And please, what crime is that if not the criminal cause of financial loss to the state of Ghana? There is a state-owned oil refinery at Tema that is in perennial struggle to get crude oil from Nigeria, and yet some unconscionable Ghanaians appended their signature to ship our oil to foreign refineries unrefined!